Below you will find List of Top Ayurveda Colleges in Karnataka 2019 Government and Private for BAMS. Bangalore Medical College was established as a private medical college in the year 1955 by Mysore Education Society. 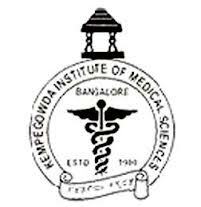 Kempegowda Institute of Medical Sciences is considered as among the best medical institutes in Karnataka that was established in the year 1980. The existence of Ambedkar Medical College in Bangalore can be traced back to the year 1981, when a group called Ananda Social and Education Trust realized the need for a teaching hospital for local students.